i have a retired next door neighbour who is perhaps less actively occupied than was once the case. and like many on the island, the weather has taken on a greater significance than is perhaps the case for the rest of us. this is not, you will understand, because it is of any great significance to the day's activities, but probably because the day affords a greater amount of time to check a variety of online forecasts for the area. unless i am planning on departing the island by way of a calmac ferry, i generally pay very little heed to the weather forecasts, particularly at this time of year. for starters, we are going to get what we're going to get; no amount of flipping from one weather report to another is going to alter that fact. additionally, islay seems to occupy a weather niche all of its very own. rare are the occasions when either the forecast for northern ireland (25 miles to the south) or that projected for south-west scotland will actually agree, let alone feature any degree of accuracy. similarly, if we take into account the above mentioned task of checking the weather, or more specifically, the windspeed for a projected ferry sailing, i have my doubst as to whether the word 'forecast' is really the most appropriate. more often than not, the weather and wind shown for any given weekend will have altered dramatically between first look on monday morning and that viewed by saturday morning. due to this particular feature, we have learned not to take any online weather forecast at face value until the evening before. like i said, 'forecast' is probably not the correct term. however, resigning myself to the knowledge that no matter in what weather i would like to go riding, it's going to be what it's going to be. 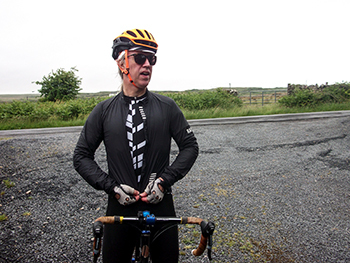 it also behoves me well to recall the well-worn epithet that there really is no such thing as bad weather, simply poor choice of clothing, a mantra that pertains to every cyclist worldwide. 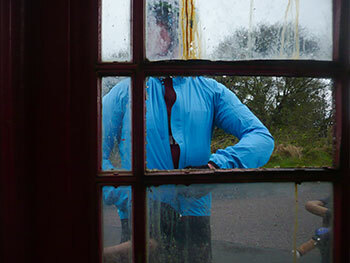 and those involved in the realm of cycling apparel will currently be beavering feverishly on our behalf, intent on bringing the very latest available technology to keep us warm and dry when announcing their autumn/winter ranges later this year. these will feature a photo shoot or lookbook that exists in a contradictory climate space. for perhaps obvious reasons, we would scarcely wish to view a thermal jacket and winter tights photographed in bright, sunny conditions; we want to see rain, wind, snow and gloom. but the months preceding the product launches are usually the best we get all year, meaning that while the velo club rides in sultry conditions, some poor souls are ensconced in a region promising the crappes weather that the art director could find. one of the products launched at the beginning of january this year was rapha's shadow jersey and bibshorts, oddly enough in short sleeve format at the very point of the year when short sleeves are the last thing you'd intend to wear. however, the shadow fabric lived up to every promise included in the press release and now that short sleeves are far more de rigeur, when there is the promise of a downpour (as advised by my neighbour on saturday night and first thing sunday morning), it would seem the natural choice. so why, then, did i stuff a rain jacket in the back pocket? in 1932 the cine kodak eight motion picture format was introduced, oddly enough using a special 16mm film that featured double the number of perforations on both sides. though we're all used to simply pointing the current crop of smartphones at any moving object nowadays to capture ultra hi-definition video, this particular format entailed running the film through the camera in one direction, then opening up the camera, reload the film and expose the other side. once processing was complete, the developing lab would have to split the film lengthwise resulting in about 50 feet of finished 8mm film. that level of faff continued until 1965, when kodak introduced their super 8 format. this was the more convenient means of movie-making that turned a whole slew of individuals into their own personal steven spielbergs. the fact that the film was now encased in a plastic cartridge meant no more having to thread the film into the camera. it was darned near foolproof and pretty much eliminated jamming, something that could not be said about the preceding 16mm format. and now the whole length of film could be shot without interruption. 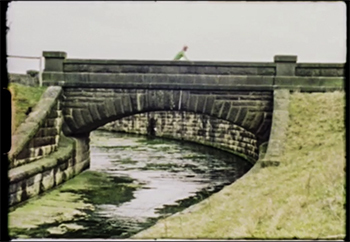 it was 1973, however, before a magnetic strip was added to the side of the film, allowing synced sound recording with the image. at the risk of emulating my hero, victor meldrew, today's potential film-makers are the very folks for whom it has been considered necessary to place crossing signals on the road surface, so intent are the majority at staring downwards at their touch-screens. it would take major surgery to separate most of them from their dear, darling smartphones. it often seems that life might as well and here and now if leaving the phone at home means more than an hour or so without checking every friend's facebook status. you can tell, i daresay, that i have neither a mobile phone nor a facebook status. however, anachronistic though it might seem, not everyone has adopted 4k resolution as their modus operandi. some are happily entrenched in the past, so to speak, continuing to capture facets of contemporary life on celluloid; that kodak super 8 format, now that you come to mention it. 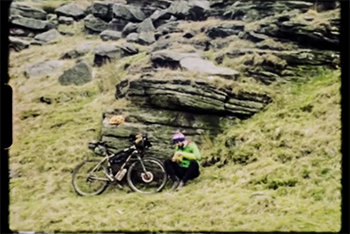 shot on a single cartridge of kodak vision 3 200t super 8 film is a thoroughly delightful three minute movie entitled 'eat some food, ride your bike'. 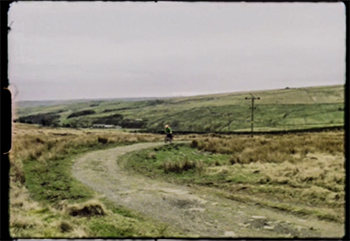 though there are any number of non-linear editing software options available for next to no cost nowadays, this particular film, depicting the habitual riding of an apparently self-sufficient cyclist, features no editing at all. filmed in sequence, the only aspect of post production was the addition of a non-synced soundtrack. it cannot be denied that star wars it most certainly isn't. 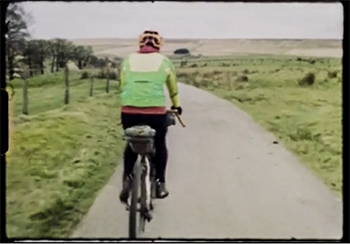 if anything, it's rather mundane, but it does capture the essence of what it's like to repetitively cycle a bicycle for days at a stretch for the simple pleasure of riding a bicycle. i think we can all identify with that particular aspect of velocipedinal life. and at the risk of appearing as the retro-loving curmudgeon that i have (happily) become, there's something intangible imparted by film, that a series of high-definition pixels simply can't replace. a delightful diversion from today's all-enveloping modernity. one or two of you may recognise the name, vinnie colaiuta. he is generally reckoned to be probably the best technically capable session drummer in the world, certainly the finest at reading extremely technical parts; colaiuta is one of the few drummers in existence who could navigate their way through frank zappa's the black page #1, so-called because the density of notes all but obscured the parchment on which it was written. i first came across his drumming on the joni mitchell song, 'wild things run fast' and tried in vain to master the drum-fill that features in the song's middle section. a vhs video (yes, that long ago) of the buddy rich big band with steve gadd, dave weckl and vinnie had them all playing yamaha drumsets, a situation that continues to be the case for all but colaiuta. he shifted his endorsement from the japanese drum company to that of gretsch, but only for a year or two before upping sticks and moving over to ludwig. this latter move was made all the more notable within the drumming community when he also left the zildjian cymbal company for whom he'd been an endorser for many a long year and joined switzerland's paiste. the ludwig endorsement lasted a remarkably short time. the majority of top drummers are keen to garner endorsements with major dum companies because it means that not only do they often pick-up occasionally lucrative clinic tours, but are provided with suitable drumsets all across the world wherever they might be playing, saving a considerable amount of money on airfreighting often substantial-sized kits to far flung corners of the world. 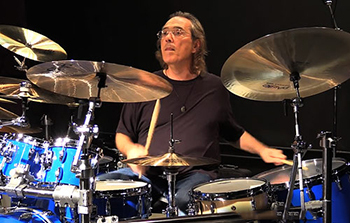 after leaving ludwig, for a while, colaiuta played a set handmade by an american drum builder before recently announcing that he had returned to gretsch. i confess that, if i was gretsch's man at the top, i'd have told him precisely where he could put his pair of drumsticks, but commercial considerations often contradict knee-jerk reactions. vinnie has been welcomed back with an embarrassingly twee video demonstrating the unboxing of vinnie's new, larger and bright blue drumset. but these endorsements, particularly in cases such as the above, often seem utterly pointless and ultimately valueless. former weather report drummer, peter erskine also left yamaha a few years back for america's drum workshop. then only a matter of months ago, he shifted to japan's tama drums claiming it had nothing to do with money, but everything to do with sound. quite why these drummers think that the majority of us will place any faith in their subsequent platitudes about how [insert current brand here] drums are the very best they've ever played, i really cannot fathom. professional cyclists occupy an altogether different situation. in the case of those sitting on world tour saddles, it is most often the manufacturers who are responsible for making any claims of brand superiority. after his unexpected win in this year's giro d'italia, specialized ran a full page ad in the cycling monthlies showing a victorious vincenzo nibali aboard his specialized bicycle, accompanied by the caption 'inconceivable'. though i do not follow post race commentary as closely as perhaps i ought to, i have not seen any quotes from nibali attesting to the make of bicycle on which he rode as at being least partially responsible for providing him with a pink jersey. that is mostly because professional bike riders rarely, if ever, have any say on which brand of bicycle they challenge for victory. to place this in perspective, nibali could likely have won the giro aboard one of halford's finest. the majority of us are aware of this, the manufacturers know that we know and the riders, by and large, could care less, yet marketing budgets worth millions are still spent on persuading us that if it's good enough for vincenzo, it's good enough for you and me. in reality, that is undoubtedly true, but the same is also true of pinarello, colnago, canyon or pretty much any world tour, pro-continental or continental bicycle you care to mention. the same goes for clothing. 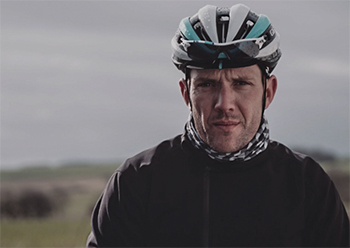 it would be hard to deny that the information gained by the world's top cycle clothiers by sponsoring the world's top teams, has not benefitted the great unwashed, but do not believe that geraint thomas or ian stannard wear rapha out of choice. next year, that choice will be removed, at least in the competitive realm. marketing has always occupied a space remarkably close to that of statistics in that they often feature "lies, damn lies and..." well, i'm sure you can figure out the rest. sadly, i never thought to ask which make of bicycle vinnie rides. did eddy actually say that? the machrie hotel on islay, situated well off the main road around halfway between the village of port ellen and islay international airport, closed for business some five years ago, when the previous owners effectively ran out of money. it has since been purchased by new owners who are in the process of knocking down substantial chunks of bricks and mortar prior to a total refurbishment and a comprehensive building programme. though the hotel itself might not be world famous, the attached golf links apparently is and despite the renovations and building work, the course has remained open throughout. recently, however, the island's golfers have had to play over a curtailed course of nine holes as the current owner decided to effectively revamp the whole enchilada. thus, the golf course that exists today is nothing at all like the one everyone was used to playing on. as a confirmed non-golfer, i have no idea whether this is a welcome change or not; i'm sure there are those who will view the changes as inspirational and others who will rue the day the bulldozers moved in. as you can imagine, this has rendered the previous score cards completely redundant and a new version has been handed to me to produce for the coming season of hitting a ball onto a series of flagged holes. it seems a shame that the new course is bereft of odd names for each hole as did the previous scorecard; all the new ones are simply signified by the numbers one to eighteen. how disappointing. it has also meant that the rules of the club, printed on the back of the old scorecards, are now about as much use as a chocolate fireguard and have thus been removed. though i have not examined the minutiae of the originals, i do recall that the opening gambit revolved around playing between the bunkers. since i can only assume that the sandy bits have been re-arranged too, no doubt someone has been tasked with re-writing the rules. but in view of a pressing need to have the new cards ready, those will have to wait until a later date. simplistic though it may seem, the latter is one of the aspects of golf that will forever remain anathema to yours truly. 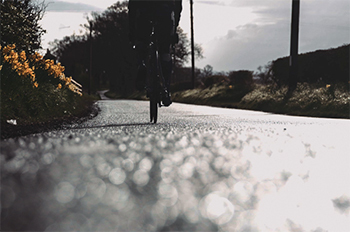 though velominati have provided us with a current list of ninety-five rules, the majority are, if not advisory, certainly intended to be taken with a pinch of salt. while an infraction of golf club rules can ultimately lead to expulsion from the clubhouse, ignoring any of the ninety-five will, at worst, mark you out as a rebel without a cause. 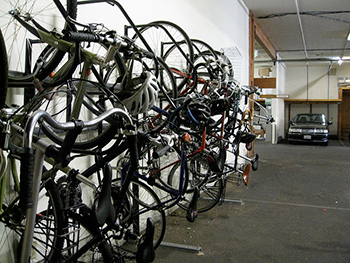 the local velo club rule book simply states "rule 1: there are no rules. rule 2: see rule one." and that's pretty much it. however, that is to provide a largely simplistic overview of the mentality that pervades the average cycling obsessive. though we like to come across as happy go lucky pelotonese, in reality, everything leads back to eddy. 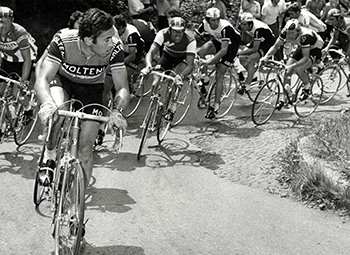 the very fact that merckx was an inveterate footerer with every minute aspect of his bicycle, reputedly carrying an allen key in a molteni back pocket has conferred upon us all the right to do likewise, even though most of us are bereft of any mechanical knowledge whatsoever. the fact that eddy wore leather shoes has undoubtedly aided and abetted sales of martin scofield's superb dromarti footwear. if any member of the peloton finds it preferable to persevere with toe-clips and straps in preference to clipless, eddy provides eternal validation. and those of us who dream of owning a skinny-tubed steel frame with the rear brake cable held in place by polished chrome cable-clips have effectively no case to answer, even in the face of high-modulus carbon nano tubes and electronic shifting. the fact that eddy would probably have wholeheartedly embraced the hydraulic disc brake is, dare i say so, neither here nor there. 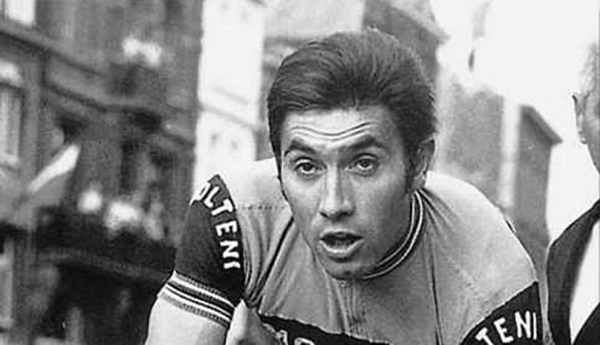 so while the cannibal may have been the bête noire to many of his contemporaries and an icon of standardisation for the uci, for those who need a nod of approval for their, shall we say, less than modern approach to velocipedinal life, eddy merckx truly is god. even if he never actually said everything attributed to him. we in the velo club have decided that, in order that we might escape the dastardly dealings of murphy's law, we will organise a rota dictating who amongst us on each sunday ride is due to suffer a puncture. for months, nay years, we have undertaken the weekly perambulation of the estates with scarcely a rumble 'neath the varying widths of tyres fitted to the velocipedes du jour. yet, in the past month, i believe each one of us has been on the receiving end of deflationary procedures. this past sunday, while chuntering along the lowers slopes of the glen road, it was my turn to have the front rubber take on the texture of the road below. surely a pre-arranged rota will cure the problem? it will, i fervently hope, undermine the unwritten cyclists' law not to mention punctures out loud, lest the deflationary gods inflict their wrath upon one's tyres. we figure it might be worth a try. there is also, i believe, a similarity of purpose in failing to question the veracity of one's health, particularly if it happens to err on the remarkably good side. since suffering nine months of relative inactivity in 1994 as the result of a road traffic accident, including two weeks in hospital and a smidgeon of plastic surgery, i have not had a single day off work due to illness. the last doctor in bowmore surgery retired without my ever having need of making an appointment. i'm happy to put this down to my inveterate cycling, being a keen supporter of the contention that cycling cures everything. i know it's not specifically true, but it mostly suits my two-wheeled proselytising. you would be forgiven for thinking that my employers would be highly grateful that my cycling activity has proved of great benefit, never once having had to consider the need to find a replacement in a village where there probably isn't such a person. however, i am more than grateful for this unbroken run of good health, so it seems everything has worked out for the best for both parties. i somehow doubt, however, that my employers have grabbed the corporate calculator and worked out just how this situation has benefitted their coffers. yet, odd though it may seem, the cycle to work alliance, responsible for provision of an amenable means of employees in the uk purchasing bicycles, have managed to conjure up a number that not only justifies riding to work, but presumably makes it look like it's financially worthwhile. according to this rather dubious sounding survey, the scheme generates £72 million in economic benefits for the uk economy, outweighing the estimated cost to the treasury of lost tax and national insurance payments. this, of course, depends entirely on the premise that those purchasing the lower cost bicycles actually use them for cycling to work. in my experience, that's not always the case. in fact locally, it's a rare occurence, one that, statistically speaking, must be repeated elsewhere. and the theoretical nature of the survey's result rather calls into question the magic number 72.
according to the cycle to work alliance: ..."the research further illustrates the crucial role the scheme plays in increasing how much people cycle. It confirms that the cycle to work scheme is a vital mechanism in meeting the government's objective of doubling cycling activity by 2025.
i fear the reality and validity of that statement bears close comparison to the benefits arising from the velo club's projected puncture rota. i fervently wish that were not the case, but you know what they say about statistics. many years ago now, i had a small portion of a cunning plan, one of which rapha's simon mottram might well have approved. 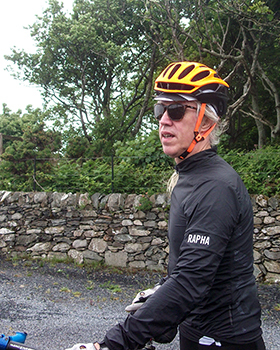 he has frequently alerted me to the fact that 2004 was the beginning of his first five-year plan for rapha, the majority of which guided the company's successful entry into the cycle clothing market. thewashingmachinepost, having reached a point in its career where it was almost self sufficient, entreated me to look slightly further afield for items that might well introduce a series of product reviews for your general edification. always assuming, of course, that i was any good at reviewing cycling products in the first place. though the jury is still out on that latter notion, i figured that were i able to obtain a rather salubrious product for consideration, one with an appropriately stratospheric price tag attached, then others in the habit of offering shiny stuff a few weeks' holiday on islay might be persuaded that there was some intrinsic value in so doing. with that in mind, i approached germany's carbon sports for a potential review of their lightweight standard carbon rimmed and laced wheels, a request to which they readily and rather surprisingly acceded. despite the pennies invested in such a stunning pair of race wheels, particularly when pre-fitted with a pair of continental race tubulars, these arrived in a large, wheel-sized cardboard box all the way from germany and i still recall arthur, our postie, popping into the office to tell me he had a box in the back of the van but concerned that there was nothing inside it. a verisimilitude of that precise situation occurred a matter of days ago, when one of those enticing black delivery packs arrived from imperial works. not only was the pack remarkably thin but it transpired that the delivery note weighed more than the contents. 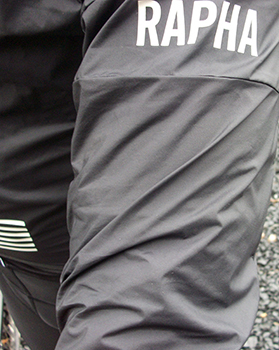 rapha's pro team windjacket is as close to non-existent as it's likely possible to get in the world of cycling apparel. 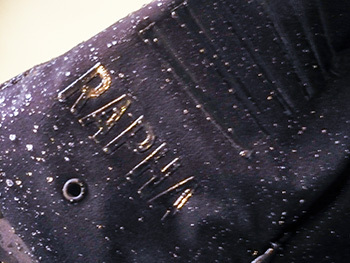 i have read of sub atomic particles that are totally devoid of any appreciable mass and i believe it likely that rapha have cornered the market in such particles with which to fabricate this stealth black jacket. at least a part of this featherweight existence can be squarely laid at the mesh panel that constitutes the back of the jacket. hold it up to the light and you can probably see the filament in the bulb. of course, that's entirely the point; this is a windjacket, one that can be (very) easily stuffed into a back pocket (actually, you can squeeze it into an essentials case without breaking sweat. i know, because i tried). the mesh takes care of its breathability. meanwhile, the front part, and that includes the sleeves, constitutes a stunningly effective windproof barrier, carved from a fabric that is surely only a single atom thick, atoms composed of those massless sub-atomic particles. as luck would have it, the review period consisted of some real weather, climatic conditions that differed substantially from the past few weeks of wall to wall sun and blue skies. so different, in fact, that i had the opportunity to discover that, while windproofing may be its rugged forté, waterproofing definitely isn't. but then, nobody ever said it would be. granted, a smattering of precipitation in the morning had been shrugged off with nonchalance, but when a smir had turned to proper rain, i got wet. it should be pointed out, however, that even when close to saturation point, the windproofing was still every bit as effective as it had been when dry. and that darned near non-existent weight undoubtedly aided a predilection to dry remarkably quickly when the rain ceased. 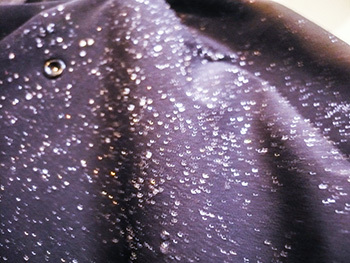 currently the jacket is only available in black and i cannot deny that i would have welcomed something a tad brighter as an alternative such as rapha pink or team sky blue. 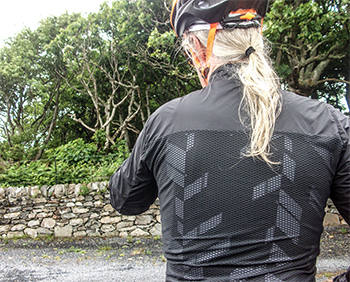 it may be that the teamsky chaps in collaboration with whom this jacket was designed are either quite happy on the dark-side or were suitably enamoured with the stealth look (i cannot deny; it is pretty cool). i would dearly love to extend the cool by having the bike handling skills that would allow divesting myself of the jacket when warmer winds blow, without having need of stopping so to do. this jacket can be viewed as a more consummate alternative to a gilet, with a breathability that easily rivals the latter, whether worn for a few minutes or all day. in view of its designated nomenclature, the pro team windjacket is guaranteed almost permanent use in my hebridean enclave. several years ago, charlie pearch, a gentleman that i am proud to call my friend, invited me to accompany him to the then recently opened chris hoy velodrome in glasgow to witness the scottish round of the revolution series track event. the nature of this vip invite, aside from a rather excellent helping of food and (in my case) non-alcoholic drink, included the opportunity to access the track centre, a location that offered an upside as well as a downside. the latter was the realisation that watching riders speed their way round the boards would eventually lead to bouts of slight dizziness, something unlikely to have afflicted those sat in the stands and with a grand overview of proceedings. the bonus was, of course, the opportunity to converse with one or two of the riders while waiting for their chance to make me dizzy once more. since mr pearch is a senior partner at jlt insurance, all the cheering was diplomatically aimed at the men in black, one of whom was another good friend of mine and former king of scotland, jimmy mccallum. jimmy is, to one of advanced years such as myself, the equivalent of a younger brother. he not only hails from my home city of glasgow, but displays every bit of the garrulousnesss associated with glaswegians the world over. over the years, when i have found myself in either a coffee frame of mind, or at the british championships at glasgow green, there's been jimmy displaying no airs and graces and always happy to chat when downtime allows. heck, the man even wrote a review of the ibis hakkalugi disc 'cross bike for the post a couple of years back. since his racing career ended, he's been involved in one or two affiliated positions, resulting in his current appointment as a directeur sportif with one pro cycling. considering the non-scottish nature of the latter, it's been a while since we've met, but as with every silver lining, there's an occasional cloud. at the end of last year, jimmy mac's family suffered the loss of charlene doolan, a young family member who died at the age of 36 as a result of thrombosis. 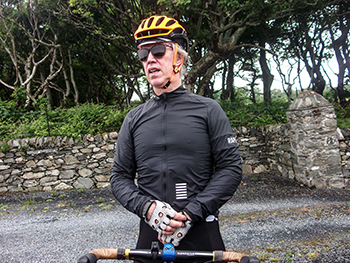 not for nothing is/was jimmy known as the 'king of scotland', resolving to use his years as a highly-trained cyclist of some repute to raise awareness of thrombosis. this condition remains a major cause of death in the uk, yet the majority of us know sod all about it and how we might prevent it affecting our own lives and that of our families. thrombosis uk is a small charitable organisation working to create awareness of the dangers associated with the condition and like many, if not all, charities, it needs money to continue its work. so, i hear you ask, what exactly is jimmy going to do? 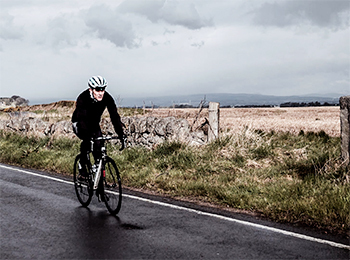 scarily enough, this saturday 18 june, jimmy mac is going to take on the 517 mile non-stop cycle record around the north coast 500 route in north scotland. 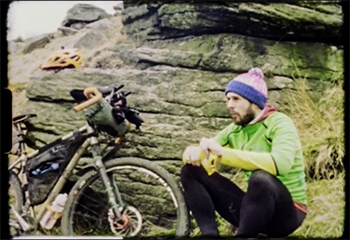 the current record stands at 38 hours and is held by fellow scot and professional adventurer, mark beaumont. quite frankly, if anyone can do it, the king of scotland is the very chap. jimmy's got the hard part. all we've got to do is click over to his just giving page and pledge a truckload of money. and next time i see him, i'll thank him on your behalf for affording us the opportunity to do something good with so little effort.